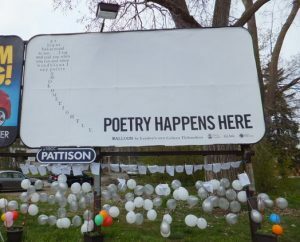 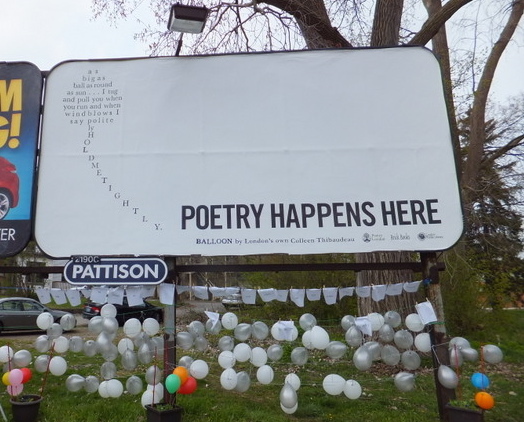 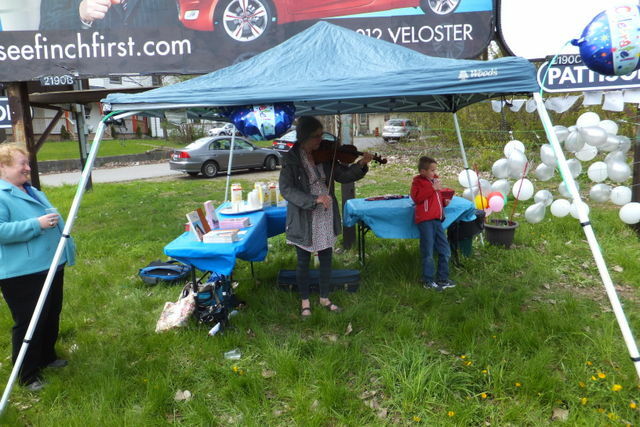 April 14, 2012: Thank you everyone who came to celebrate National Poetry Month and Colleen Thibaudeau’s poem “Balloon,” which is displayed on a billboard near the junction of Stanley Street and Wortley Road in London, Ontario. 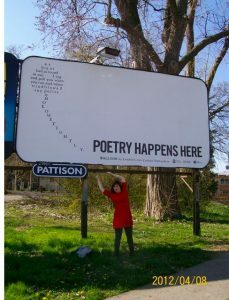 April 14, 2012: Celebrating National Poetry Month. 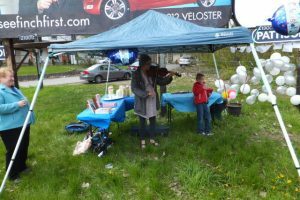 Jean McKay was on hand to play her fiddle.